1. Each year around 15-18 million people start studying German. 2. The very first book in the world was printed in German. It happened in 1455, and the book was the Bible. Now every 10th book published in the world is in German. 4. I love German proverbs! Some of them are extremely funny. My favourite one is "Ich verstehe nur Bahnhof" = "I only understand railway station" (actually it means "I don't understand"). Dear German native speakers, do you know how this proverb appeared? I'd be interested to know that. 5. In German, "bekommen" is not translated as "become"! "Bekommen" means "get, receive" and "become" is translated into German as "werden". "sympathisch" does not mean "sympathetic" (exactly same thing with the Russian language by the way). It means "nice", "pleasant". As for the English word "sympathetic", it is "mitfuehlend" in German. "Gymnasium" in German is not the same as "gymnasium" in English. The English word means "sports hall" whereas the German word means "Grammar school". The German word "Gift" does not mean "a gift", but actually means "poison"! 7. The German language has about 35 dialects. 8. It is spoken in Germany, Austria, a large part of Switzerland, Liechtenstein, Luxembourg, the South Tyrol region of Italy, the Opole Voivodship of Poland, parts of Belgium, parts of Romania and the Alsace region of France. Several former German colonies, such as Namibia, also have a lot of German speakers. German-speaking communities can also be found in parts of the Czech Republic, Slovakia,Hungary, Serbia, Russia and Kazakhstan. In Russia, forced expulsions afterWorld War II and massive emigration to Germany in the 1980s and 1990s have depopulated most of these communities. 9. A legend says that German could become the official language in the United States. Supposedly, the Americans wanted to break free from Britain so much that they decided to even speak a different language! But when the voting was held, the English language won just by one vote! I love the story, but after searching a little further I learned another fact. So, according to other sources, some German-speaking settlers in Virginia once signed a petition asking to translate the laws into German because it would be easier for them to read and understand those laws. This fact later served as a basis for that legend. 10. English has borrowed lots of words from German. You can find the full list in Wikipedia. These facts by no means make an exclusive list :) I found them while searching the web and looking through my university notes. Some of them might not be 100% accurate, so if you have anything to add I'll be happy to read your comments! 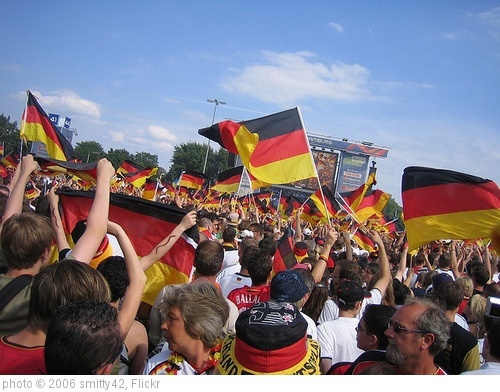 69 fun facts about Germany - that's a really cool post which speaks not just about the German language, but also about Germany! A similarity between German and Russian that I noticed is the feminine dative and genitive cases in both languages. For adjectives, both use the endings of the masculine nominative (although it's a little different in Russian, since most adjectives in Russian end with -ый or -ий, with only a few ending in -ой). Thank you so much for such interesting facts! :) Tanya M.